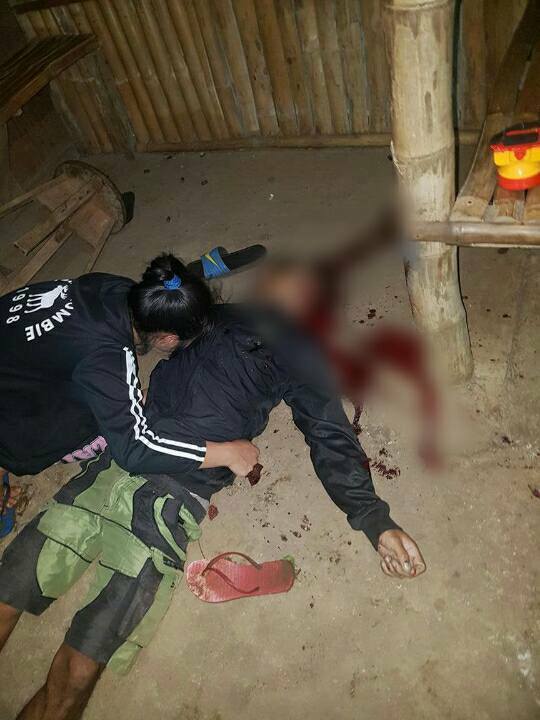 A 29-year-old man was found dead, while another was wounded, following a shooting at Purok Orchids, Barangay Malaiba, Canlaon City, Negros Oriental, Saturday evening. Police identified the fatality as Marjun Sabio, and the wounded as Eleoterio Gicale, 29, both residents of the said purok. Canlaon City police said an unidentified man wearing a bonnet and riding a motorcycle approached the victims and shot them randomly. Sabio sustained numerous fatal gunshot wounds, while Gicale was shot in the buttocks and was sent to hospital for treatment. The suspect fled and remains unidentified. Recovered from the scene were 15 empty cartridges of .45 caliber ammunition.